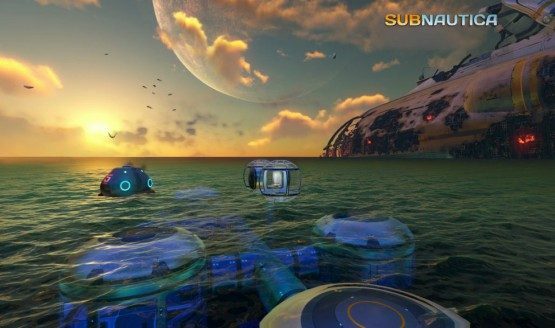 Creators Unknown Worlds has announced that its amazing underwater survival adventure ,Subnautica will finally coming to PS4 on 4th December . Subnautica released earlier this year on PC . it's also been available on Xbox One as part of Microsoft's game Preview programme since 2016 . Subnautica is FPS ,Open world survival game .you have crash landed on an alien ocean world .Discover vast ocean habitats ,scavenge for resources ,construct various tools ,document undiscovered life forms and find a way home . Sabnautica will launch physically and digitally for Xbox One and PS4 on 4th December ,with a physical release coming slightly later in Europe on 7th December .